The perfect customer apology letter can do more than just mend fences, it can also deliver a more loyal customer. Apologizing in business in the right way and at the right time can turn a negative into a positive by providing a better customer experience. Yes, you can be better off AFTER a mistake is made than you were before the error was committed. 1. Acknowledge your company's responsibility in the matter. 2. Exhibit your desire (through action) to repair the damage done. 3. Demonstrate your company's integrity. 4. Tell customers that you value their business. 5. 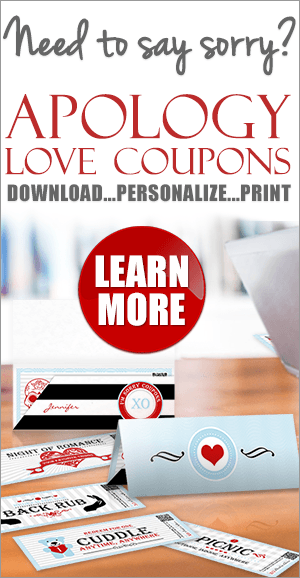 Solidify your relationship with customers. In the sample letter below, there is an issue regarding a billing error to a customer. The customer notifies the company of the problem. The problem is investigated and the company is found to be at fault and needs to apologize. They can deliver the business apology by phone, in person, by email or letter but most importantly, they need to make things right while building on their existing relationship. 1. They will first call the customer to advise them of their findings as soon as possible. 2. They follow up with a customer apology letter to demonstrate the company's commitment to making things right and to emphasize how seriously they take the matter. So what should that customer letter say and how should they say it? Please accept our sincere apology. We are very sorry to have charged you twice for the same product. It was clearly a mistake at our end and not one that we take lightly. We can certainly appreciate your shock when seeing double the amount expected on your credit card statement. NOTE: If the dollar amount was significant then it would be appropriate to include a statement regarding the implications on available credit. The sentence would then read as follows "We can appreciate the shock you must have felt at seeing double the amount you expected charged to your credit card, and the possible implications of our error on your remaining available credit with your financial institution". I understand from my staff that the error was due to a computer glitch in our automated billing system. As a result of this issue, and in order to prevent this from happening in the future, new procedures are being put in place. In the meantime, we have credited your account for the appropriate amount (...include the specific dollar value and add a percentage to cover possible interest charges and inconvenience if the dollar amount was large...). We hope that this will be sufficient to correct the error and address any inconvenience this may have caused you. We thank you for bringing this to our attention. It will help us improve our operations and services. We very much appreciate your business and hope that you will remain a valued customer. If there are any other issues that need to be addressed, please don't hesitate to contact me. What's the end result? How does the recipient feel after receiving this type of customer apology letter? The customer is happy to have the issue resolved and will appreciate the fact that the company took responsibility, acknowledged the error, made no excuses, and understood the hurt it caused. The initial verbal apology by a customer service representative satisfies the customer's immediate need for resolution and deescalates the situation. But it's the letter of apology that solidifies the customer's relationship with the company and can potentially turn a negative situation into a positive. Finally, there is an inherent element of importance brought to the issue, by a senior executive taking the time to apologize PERSONALLY and in writing while thanking them for bringing it to their attention. If you're looking for samples to work with immediately, that cover various situations, we like these guys. They have sample apology letters in Word (and other formats) that are instantly downloadable and reviewed by lawyers, which is always a plus. How will the customer likely view the company now? How has this customer apology letter built-on an existing relationship and effectively increased customer loyalty? The customer's faith in the company is restored, and perhaps even stronger than it was before. They're able to put aside the issue and appreciate the fact that companies make mistakes, just like people do, and that should a problem arise in the future it will be quickly resolved by this particular organization. The customer now feels IMPORTANT to the company and realizes that the company wants to hear both the good and the bad from them as a VALUABLE source of information for improving their services. This type of customer apology letter will help you retain your customer and may even improve the relationship that you have with them. By creating a positive customer experience your apology and letter can potentially increase the loyalty a customer feels towards your company. In our example, we used a billing error, had the issue been poor service or any other type of business mistake, the basic principles and elements of the letter remain the same. Be clear, take responsibility, appreciate the customer's point of view and inconvenience caused, provide some form of restitution if appropriate, and apologize. Offering customers an apology is not solely an exercise of customer service, it's an important part of the overall customer experience which is paramount for business success today. The goal in creating a good customer experience is having customers not only like you but also advocate for you. As consumers, we know that things can go wrong occasionally but providing an excellent customer experience can not only counter any issues that may arise but also presents an opportunity to offset any negative comments or reviews surrounding your product or business. Here's a perfect example that happened just the other day. I was looking for a single blow-up guest mattress on Amazon. I found one that had 4.4 stars and 185 reviews. Although the majority of reviews were 4 stars or more, there were some between 1 and 3 stars that really stuck with me. Update: I originally gave this product 2 stars, but the company really went out of it's way to make things right for me after seeing my complaints over here. The bed I ordered was not comfortable, but, since people are always docking stars for crap customer service, I'll add a couple for good service. Original review: The airbed inflates and deflates about as quickly as you could want. I just didn't find it super comfortable once I had it all set up. Started leaking air after 1 month of use, horrible quality, avoid at all costs. Update: Seller agreed to send me a new one for free, without even asking for the old one! The new one works like a charm. Good to know the manufacturer stands behind their product. Why? Because those testimonials reassured me that if I had any issues with the product I'd still have a great customer experience. That the company would take responsibility and make things right. Research shows that an excellent customer experience (which will often include a customer apology letter when things go wrong) is more important to consumers today than the actual product or service being offered. To further illustrate the point of the importance of a good customer experience, the company sent a personalized letter via email the day after I received the mattress. Even with their lack of english communication skills, they managed to further alleviate any doubts I may have had about their product or company. “Hope this email will not bother you. Writing to present our grateful thanks to you for ordering our twin size air mattress. We are wondering if you have got the chance to use it and is there any help we could provide? Please feel free to contact us via email if there is any issues on this product. It would be appreciated if you can share your valued feedback about this product or use experience. Click Here to Leave a Review. If you already left one, we want to present our big thanks! This company clearly understands the importance of a good customer experience. With the internet, social media, and user reviews it's more important than ever to apologize effectively to customers when things go wrong and over-deliver on a satisfying user experience. Deal with the issue in a TIMELY manner. Not responding quickly and decisively can end up requiring two apologies, one for the issue itself and the other for the time it took to respond—the timing issue compounds the 'negative' of the situation and can have more severe implications on your business than the original issue itself. It is critical to understand the importance of timing an apology correctly. By having a principal in the company or other senior staff sign the letter of apology to your customer, you signal to them that they and the issue, are important. 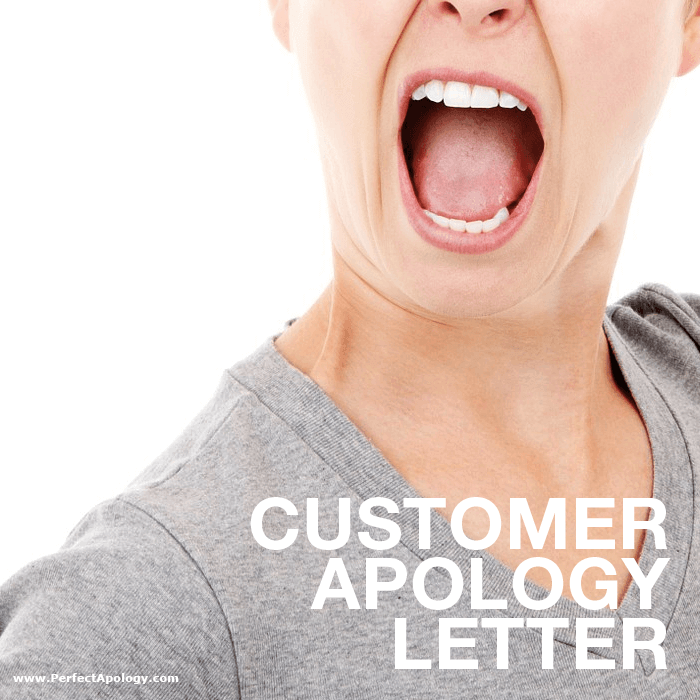 TIP: Save and categorize all of your business apology letters and modify them as necessary for each new incident. This ensures your customers will always receive a quick response because you won't need to spend time composing an apology letter from scratch each and every time. What approach you use to deliver an apology can have significant impact on its effectiveness and overall customer experience. Face-to-face, by phone, email or snail mail, learn how to determine the best approach for delivering a business apology either verbally or through a customer apology letter.